Take exit 201 (Pontiac) and go North on Hwy 23, 5 miles, turn right on Hwy 170 North, for approx. 20 miles. 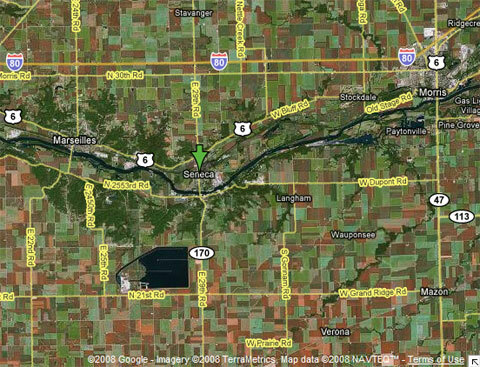 Take exit 105 off I-80, South 4 miles to Seneca, turn left onto Main Street/IL 170. Take I-39 South to I-80. East on I-80 to exit 105, South 4 miles to Seneca, turn left onto Main Street/IL 170.